Ceiba pentandra is a tropical tree of the order Malvales and the family Malvaceae, native to Mexico, Central America and the Caribbean, northern South America, and to tropical west Africa. Kapok is the most used common name for the tree and may also refer to the cotton-like fluff obtained from its seed pods. 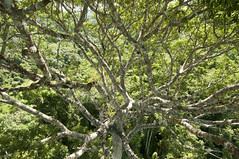 The tree is also known as the Java cotton, Java kapok, silk-cotton or criba. 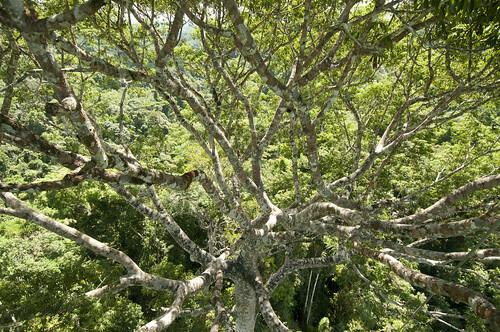 The tree grows to 70 m with a trunk up to 3 m in diameter with buttresses.